Tattooing has been a part of human culture for centuries. Although the art form has been around for decades, it has evolved. Tattoos are a personal form of self-expression, and what have changed over the years are the countless colours and designs we can use to express our thoughts and feelings through this type of body art. What has not changed is our tendency to change our minds about what we think, feel, and wish to express on the canvas that is our skin. Our shifting opinions results in the desire to change what has been placed as a permanent reminder of a friend, spouse, or as a work of art on our bodies. When people decide to get a tattoo, they undoubtedly put a lot of thought into what artwork they would like. However, we all know that sometimes reality does not match what we have envisioned and the results are not always ideal. People change their minds about their tattoos for many different reasons. But, because the love for tattoos remains strong, even if they do not like the original design, many people would prefer to cover up an old tattoo rather than have it completely removed. However, this can be difficult sometimes because not all tattoos can be easily covered up with a new tattoo. 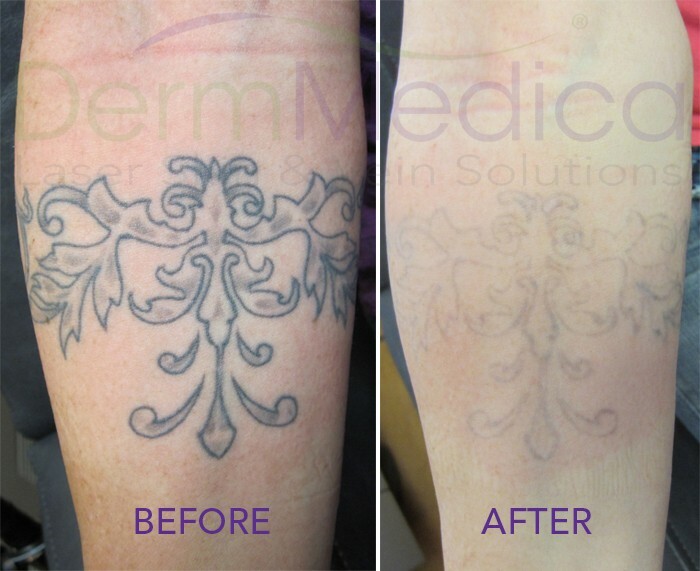 One option that may help fade the original tattoo is Laser Tattoo Treatments. Tattoo removal can be used to lighten the entire original tattoo, or to reduce the appearance of the darkest or most troublesome areas making it easier for a tattoo artist to do a cover-up. Fading a tattoo does not require as many treatment sessions as completely removing it, and laser tattoo removal can make the new artwork look better because the tattoo artist will not have to worry about incorporating as much of the old tattoo into the new cover-up tattoo or blending the new tattoo ink colours with the old colours. Not all colours can be changed into another colour and therefore the tattoo artist must consider the merging of the pigments from the old tattoo with the new one. 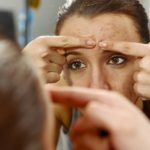 Many people opt for a cover-up tattoo without fading the original tattoo because they may think that the treatments can be more painful than getting a tattoo. 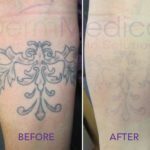 However, at DermMedica, we are the ONLY clinic in the BC Interior to offer completely comfortable laser tattoo removal. You shouldn’t suffer when you don’t have to!